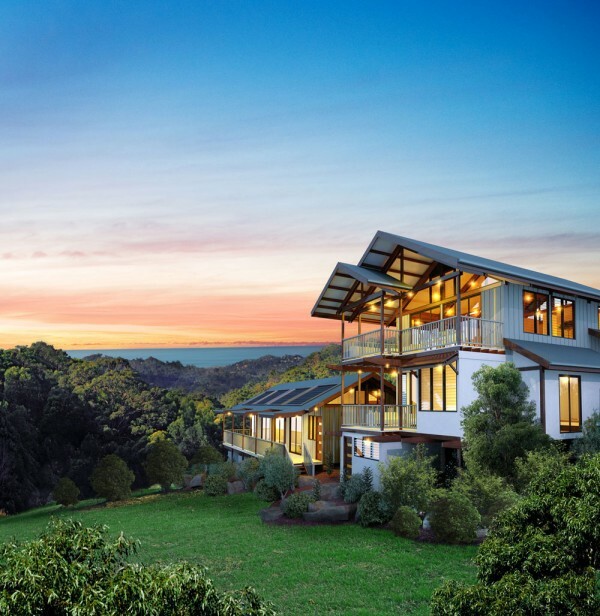 The Ecovillage at Currumbin is an modern international award-winning sustainable community located in south-east Queensland, Australia. The 270 acre site is set the hinterland, 7 minutes from beautiful Currumbin Beach, on the Gold Coast. The community is the most awarded estate in Australia with over 33 accolades, including “The World’s Best Environmental Development” (FIABCI Prix D’Excellence Award 2008). Select homes for sale ar e listed here. All original development blocks have been sold. Some maybe available for resale on rare occasions. Tours are run occasionally – click here for tour information. Rental information is listed here. Community development, sustainability and design services are here. The growing community is home to approximately 400 residents and contains over 20 different types of community facilities, including a community hall, kitchen, large pizza oven, bali huts, playgrounds, oval and cafe. It is also home to 65 resident kangaroos and various other Australian wildlife; more information about the village is here. Please note that the Community Hall can only be booked by an resident or sponsor, for Ecovillage-focused events: see http://www.villagehub.com.au/about-us Residents use the hall for activities such as yoga, workshops, meals and community events.